Ticket Info Tickets can be purchased at the Little Caesars Arena XFINITY box office and Ticketmaster.com. 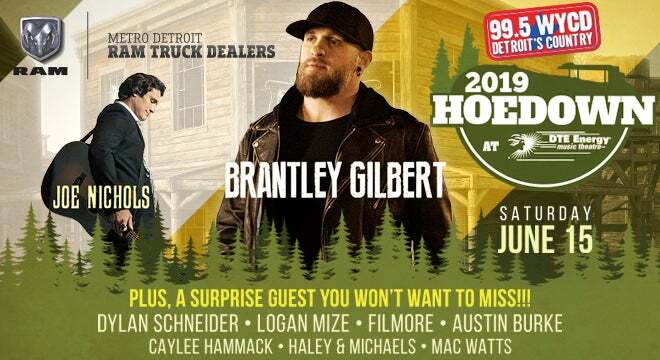 Entercom’s 99.5 WYCD Detroit’s Country (WYCD-FM) will host its 37th annual “99.5 WYCD Hoedown,” presented by Detroit RAM Truck Dealers, at DTE Energy Music Theatre on Saturday, June 15 at 3 p.m. The event will feature a headlining performance by Brantley Gilbert and feature acts across three stages, including main stage performances from Joe Nichols and Caylee Hammack, plus a surprise guest you won’t want to miss!!! 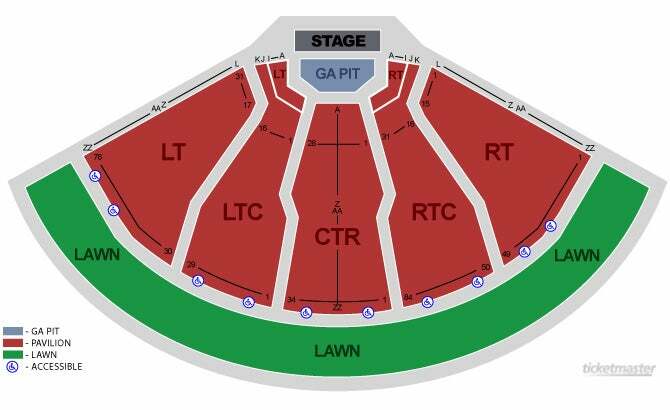 The “99.5 WYCD Hoedown” will also include performances by Dylan Schneider, Logan Mize, Filmore and the Joey Vee Band on the Festival Stage in the DTE parking lot and Austin Burke, Haley & Michaels and Mac Watts in The Pine Tap, an open-air beer garden which sits on an expansive deck inside DTE’s West Entrance. For more information on the “99.5 WYCD Hoedown,” please visit wycd.com/hoedown and follow the WYCD Facebook (www.facebook.com/Add995WYCD) and Twitter (twitter.com/995WYCD) pages for updates. Copyright © 2019	313 Presents. All Rights Reserved.